I really do. I changed my profile description today. It shares who the real me is. Although, it only allows 1200 characters...so I only got half way through! I took out the part about being a sister, wife, aunt, mother...yada yada yada...most of us are. I got down to the nitty-gritty. I like being real. I like not hiding behind something I'm not. What you see is pretty much what you get with me. I like to laugh, chat, listen and love. I look at life as if the glass is half-full and know that people have bad days and try really hard to not judge them for those days. I've had bad days. I hope people haven't judged me. It isn't our place to judge. I think when we are real, we make others feel real also...instead of failures for not being perfect. Even my front door to my house is a single french door....all glass. You can see right in. I wanted people to feel welcome walking up to our front porch. There is nothing to hide behind. Take us or leave us for exactly what we are. We are fun, we love each other, we fight and argue, we are nicer to friends and strangers than we are to our own family members sometimes. It is a sad thing, but real and we are almost all guilty of it. We believe in God and practice our faith regularly...not just on Sundays. We try every day to improve something....and most days we fail, but we keep on trying. I guess what I am trying to say is that I really do like who I am. I like my family and I like my kids. And I like that we love no matter what and we try to extend that love to our friends and neighbors too. I must thank my parents for these things. They raised me to like myself. They taught me good things and although I have grown to be the person I am over the years through my own experiences, it is because of their teachings and their love that I have known what to do with my experiences and have learned to love what surrounds me. I like me....in all my imperfectness! I'm happy today....in an honest kind of way. Amen sister! I like you too! I'm glad you're real! I like that and we like you!! ... and that's why we LOVE! the Kennedys. I like it! It really DOES describe you. Thanks for being real. I like you too! I also Love that you posted this. I finally feel like I have come to that place in my own life where I really like me. I didnt used to! And it's a great thing when you do. The Lord can get a whole lot more out of us when we like ourselves! Thank you for your sweet comment! That was so nice of you to take the time to write me that little tidbit! About the running thing...I have competely stopped and i miss it like CRAZY! But that is a small price to pay! Thanks again-It means more than you know! Thanks for the comment on my blog. I'm excited to have connected with you. I'm glad to have someone who loves The City & The Bachelor too(ha!). 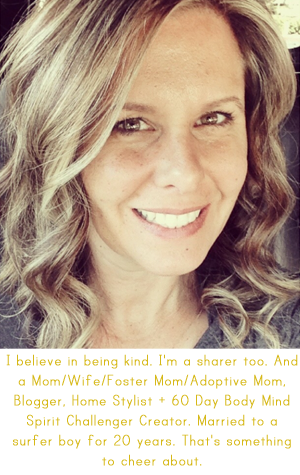 I also think that besides the special (needs) kiddo, being LDS and a mom to a special kid is a whole other subgroup. I don't know if you've experienced it but a lot of my autism mom friends have a different view point- they don't really get the whole picture. Is it hard? Heck yes. Do i sometimes wonder how I ended up where I am? Yes. But when I step back I know there is a way bigger picture. And I think I'm able to recognize the positives a little easier too. Anyway- look forward to getting to know you more! It's taken me until the last year or so to really like who I am. I loved this post! I think my name is on that little birdie... can you check the back for me :) It's so cute!